I thought the days of the environmentally unfriendly super-heavy wine bottle were over. But no. I recently came across a new ultra-icon special reserve A$200 Barossa shiraz that tipped the scales at almost 1.8 kilograms. With the wine inside being around 750 grams – the same as every other bottle of wine, regardless of cost – that meant the packaging itself, the thick moulded glass with its deep, deep punt, accounted for over a kilogram of the product’s weight. That’s ridiculous. I know there’s plenty of marketing research showing heavy bottles elicit a feeling of quality and desirability in the consumer. But there’s also plenty of research showing the packaging and transport of wine is responsible for over 50% of its carbon footprint. And the heavier the bottle, the greater that footprint, with the extra energy required to produce the glass in the first place and the extra energy required to ship the wine from bottling line to warehouse to retailer. Abel Gibson from the Barossa is one winemaker who has decided to make a very visible stand against heavy bottle syndrome. When he and his partner Emma launched their Ruggabellus label a few years ago they opted for the Lean+Green range of bottles from the local O-I glass factory: at just 330 grams each, these bottles are about as lightweight as they come. 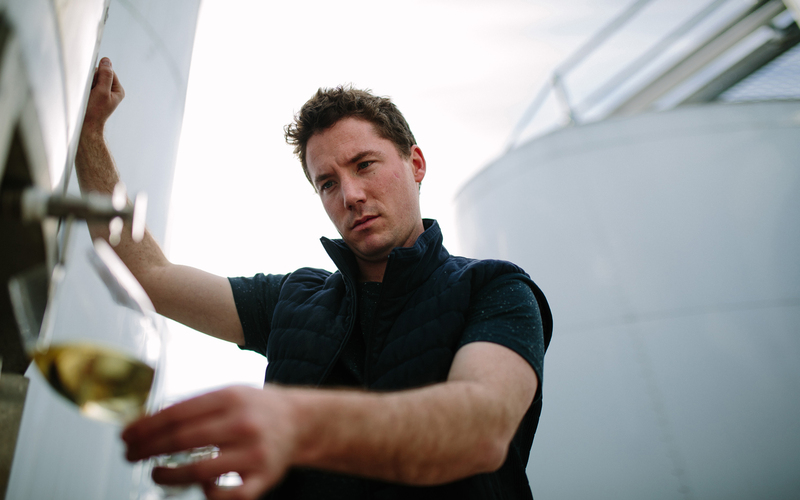 When he set up Riot Wine Co. a couple of years ago, McLaren Vale winemaker Tom O’Donnell decided not to use glass bottles at all, instead packaging all his wines – a rosé, a sauvignon blanc and a sparkling – in cans, and kegs to be served on tap. Wine on tap is becoming an increasingly common sight in Australia’s hospitality industry. Kegs of wine can now be found behind the bar in all of the venues in the Lucas Restaurants group in Melbourne and Sydney, from Hawker Hall and Chin Chin to the top-end Japanese, Kisumé. In the group’s larger, more casual restaurants, keg wine – poured from up to six different taps in some venues – now accounts for as much as 30% of all wine sales. And no heavy bottles required.